Manish Chandra is the Founder & CEO of Poshmark and drives the vision, strategy, and growth for the company. Under Manish’s leadership, the company has grown to become the leading social commerce platform for the next generation of retailers and shoppers. 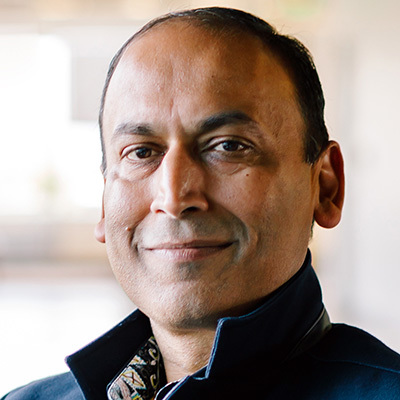 With Poshmark, Manish has applied his 20+ years experience building and scaling companies to build a new class of fashion marketplace where the deep connections between users fuels massive engagement and growth. Prior to Poshmark, Manish founded Kaboodle, the first social shopping company, which was acquired by Hearst Corporation in 2007. Before Kaboodle, he held executive positions at Versant (NASDAQ: VSNT), Versata (IPO 2000, acquired by Trilogy), and Sybase (IPO 1991, acquired by SAP). Manish received a BTech from IIT Kanpur, MS from UT Austin, and an MBA from Haas School of Business.